High School Musical 3 (2008): First off, let me say that I am not the intended audience for HSM 3. The intended audience is likely between the ages of 8 and 15 and have a crush on one of the stars, Zac Efron or Vanessa Hudgens (or perhaps Ashley Tisdale, if you're Gus the Intern). So why would I go see this film opening night, showing up nearly 45 minutes early so I could get a good seat? Because I love junior high students. And they loved this movie. They also loved the first two High School Musicals, which I have now watched and subsequently memorized half the songs. Watching this film with 12 junior high students creates a much different viewing atmosphere than watching it on my own. The running commentary from the students on either side of me--including the hilarious standing ovation they gave at the closing credits--was nearly as entertaining as the flashy, fast-paced, uber-cheesy-yet-catchy film being presented before us. It was an entertaining show for all of us, though there was a bit more of a sexual undertone than the previous two--no kissing in the first film now leads to an awkwardly long smooch near the end of the film. It's a great youth ministry film in that you could watch this repeatedly with junior high students and have a great time together. Overall, I'd say that this film is for HSM aficionados--if you already fell in love with the first two, you'll excuse any flaws with this final number. But as far as film-making goes, I'd say that the first film is still the best, with the most coherent story and the best song-to-story ratio. 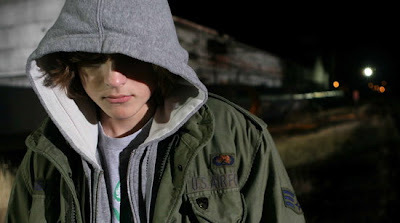 Paranoid Park (2007): On the complete opposite end of the youth ministry spectrum from HSM 3, Gus Van Sant's Cannes winner might be one of the best films I've seen all year. Filmed in my stomping grounds of Portland, OR, teenage skateboarder Alex is plagued with guilt after the accidental death of a security guard near a popular skate park. It's a simple moral story that is unique in its visuals and imagery. The cinematography is absolutely incredible, ethereal and fluid. It has an eclectic soundtrack--from Elliot Smith to Beethoven to Menomena to the Amarcord soundtrack--that defines the mood of the visuals, switching abruptly from rap to classical to acoustic guitar like the changing of a radio station. Like Van Sant's earlier Portland teen film, Elephant, this film features a variety of teenage non-actors, adding to the awkward realism. Unlike HSM, these teens aren't bubbly and talkative; they communicate about sexuality, divorce, and other relational issues in muted sentences and jaded stares. The film jumps around chronologically, vaguely following Alex's stream of consciousness as he tells his story. The end left me contemplating the rest of the film for days, wondering what I would do if presented with a similar situation. The film is also like Elephant in its value to the youth ministry conversation. Alex wrestles with an incredible moral dilemma, yet feels zero support from any adults in his life. His paradigm reflects a lot of American youth culture--jaded, cynical, and hurting on the inside from systemic abandonment. The only solace Alex finds is at Paranoid Park, the skate park of rejects and freaks. (And he doesn't even really fit in there! He tells himself he does, but inside he's still a frightened adolescent looking for significance, not the tough skater he attempts to portray). The entire film left me hurting for Alex and for the young people in our culture. Watching Alex interact with his parents, who are going through a messy divorce, then reenact his father's relational passivity with his girlfriend...it was hauntingly real. I think the film could spark some excellent discussions about morality, mentoring, and what could have been done better in Alex's story. Overall, it's a well-crafted film that displays the best aspects of the medium of cinema. The Searchers (1956): On AFI's Top 100 Movies list, and rated as one of the greatest Westerns of all time, John Ford's The Searchers is a gritty look at racism, revenge, and redemption in 1860s Texas. 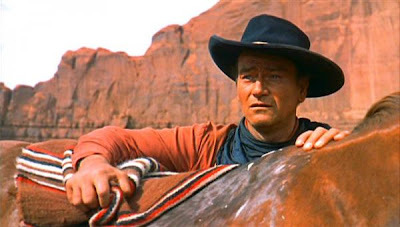 John Wayne is Ethan Edwards, former Confederate soldier who spends years looking for his niece (a brief but powerful performance from Natalie Wood) who was kidnapped by Native Americans. As Ethan's racism sends him into a downward spiral, his young accomplice Martin begins to question his motives for finding the niece. Wayne's portrayal of a calloused and cynical veteran is fairly grim--there's a powerful shot where the camera closes in on Ethan's unshaven face, revealing the bitterness in his eyes. While some aspects of the story feel like a side plot to the story arc--especially Martin's brief marriage to a Native American woman--it's still a great plot filled with tension and conflict. While there are a lot of Western trademarks--fist fights, saloons, an every-man-for-himself mentality--the best part of the film is the cinematography. Wide, sweeping shots of the Texas landscape paint a beautiful portrait of western America, with stark blue skies creating a powerful contrast with the brown-and-red rock terrain. There are some great camera shots throughout the film, especially the opening and closing scenes. Overall, it's a great Western that deals with some heavy moral issues in a tangible way.